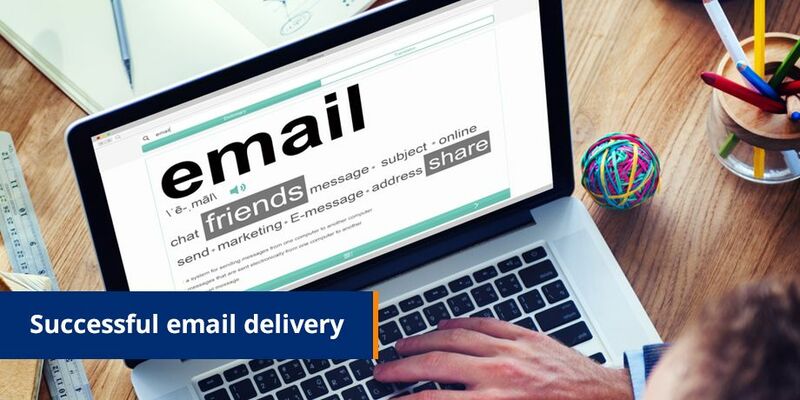 To achieve successful email delivery the focus should be on the full scope of an email’s journey – from sender to recipient. An email could be stopped as spam at any one of these different points along the journey. Authentication – the most popular method of authenticating an email is SPF (Sender Policy Framework) and DKIM (Domain Keys Identified Mail).SPF – this allows a third party to send emails on your behalf, so that when a receiving server checks to see if the email has been sent by the company it is claiming to originate from, there aren’t any issues. DKIM – This is a way of digitally signing an email, providing assurance that the email hasn’t been altered in transit and helps verify the sender of the message. Remove all hard bounces from your database. Send a text message to bounces to get an updated email address. Make it easy for customers to update their details using any medium – via a text message from a print campaign, or when they speak to the call center, as well as via your website – if they are registered. Ensure the content in your emails is relevant to your customers. Start targeting and segmenting your database to include information that is of importance to each segment. If the customers that aren’t interacting on your emails are also not buying from you, consider re-activation campaigns. If this doesn’t change their behavior, remove them from your email database. Again, ensure the content in your emails is relevant to your customers. The removal of inactive customers holds true here too. So, to achieve successful email deliverability, email databases should be monitored constantly, hard bounces removed and content must be relevant, to ensure responsiveness.